This week I hope to post daily to show me and Sigrid making a Vararfeldur with Shetland fleece. We have made one in Iceland and one in Norway, so now it is my turn with Shetland fleece. If you don't know what it is, 'google' it and you will find photos of the other 2 we have made. But follow us this week and see this one as it happens. 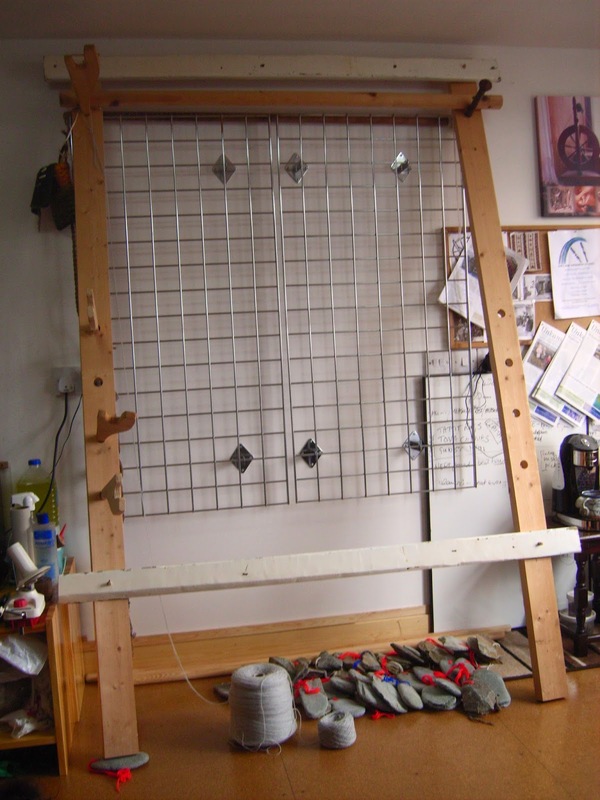 The loom needed a few adjustments, but we managed to get it sorted so that it would weave the correct width of 102cm, and drilled the extra holes needed in the top beam. My sales wall was emptied, just leaving the wall grid. The yarn and knitwear arranged in a corner beside the wheels. 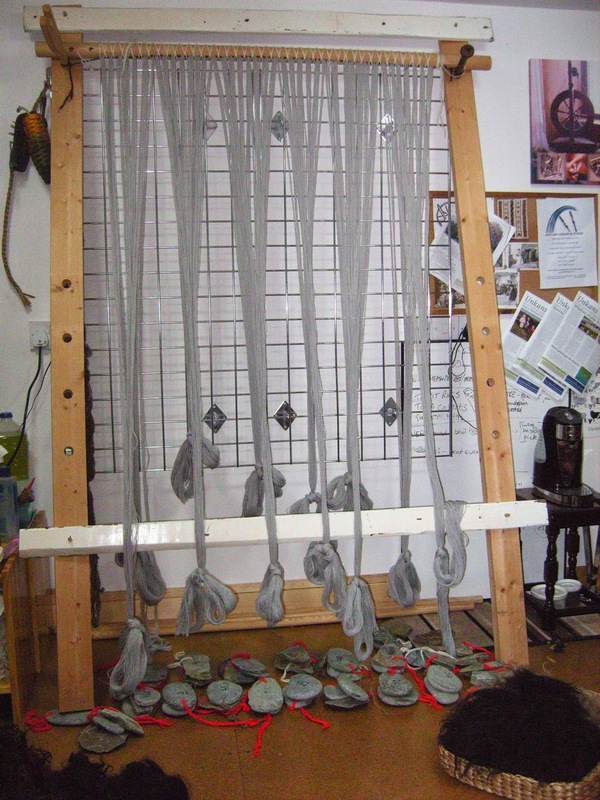 And eventually we were ready to make the warp and get the stones ready. Sigrid got busy marking the weights on the stones. 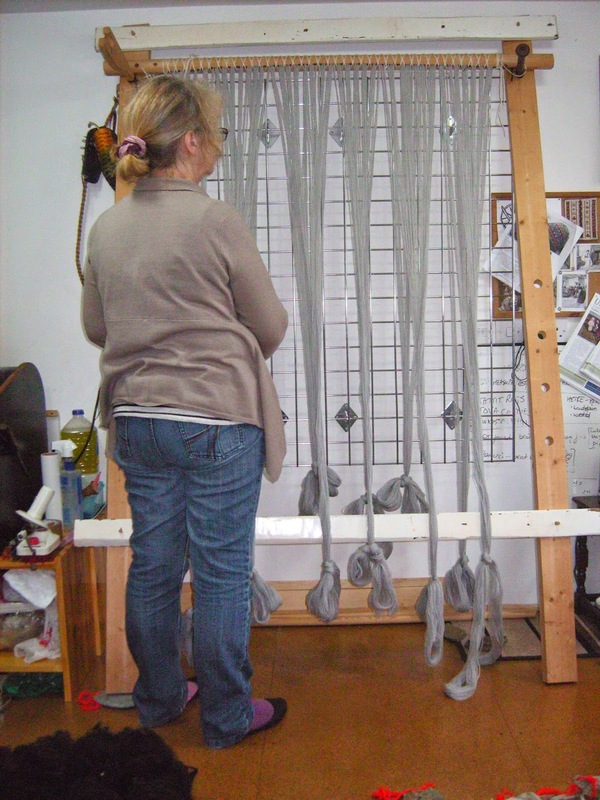 I figured the length of the warp and the number of warp threads and stared on the 3 metre/600 thread warp. 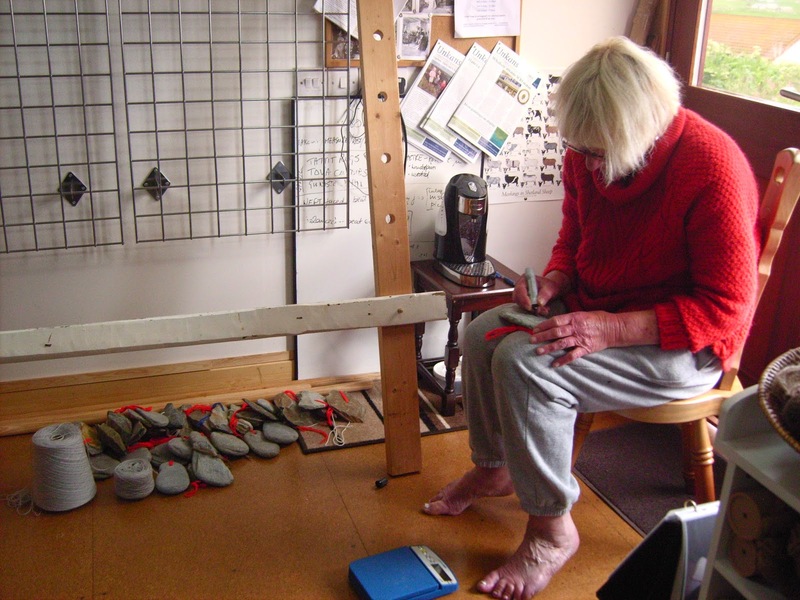 Next job for Sigrid was to start on the fleece, pulling out the locks ready to make the pile in the weave. I had 3 different coloured fleece, 2 black, one grey and one fawn. 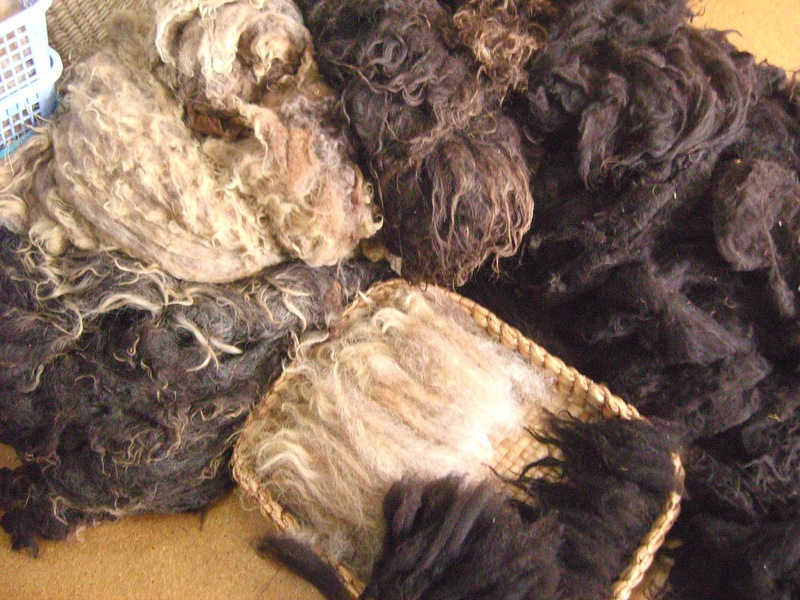 Still more fleece to find for tomorrow, another grey and a moorit. 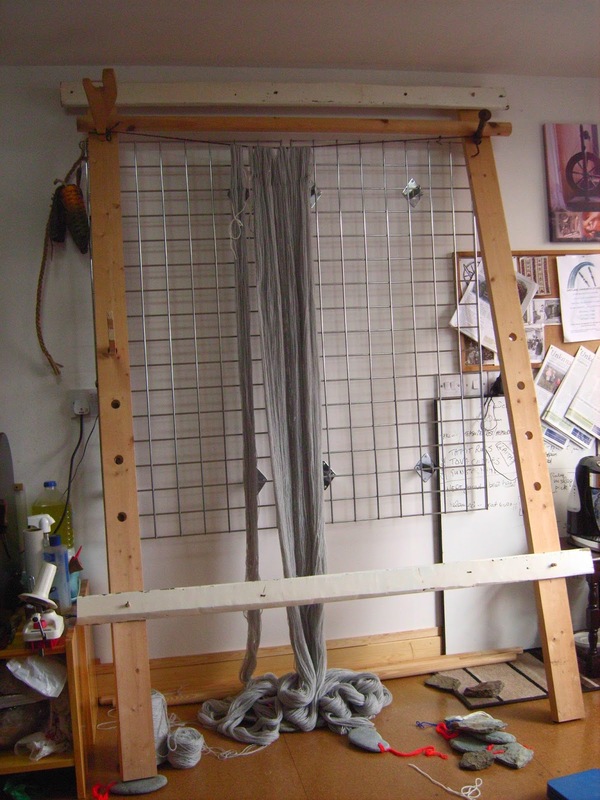 Warp on its cord and tied to the top beam. 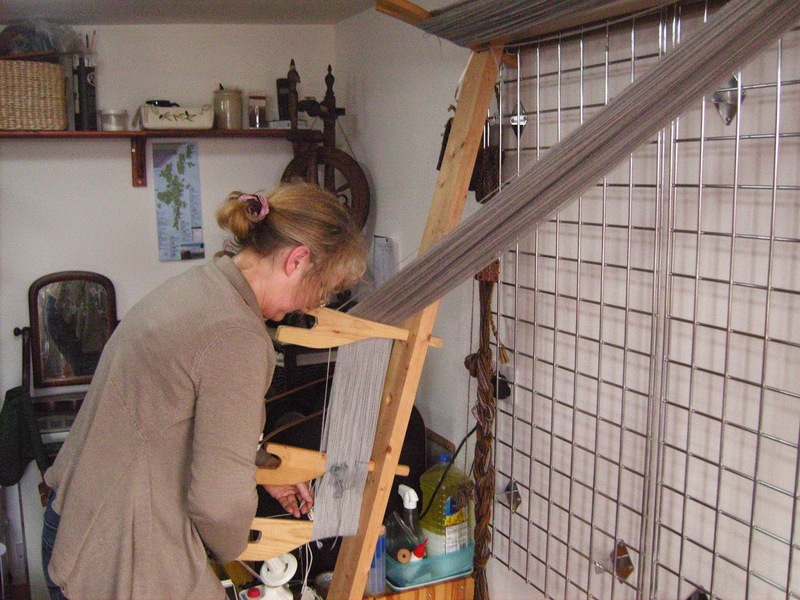 Spreading the warp across the loom. 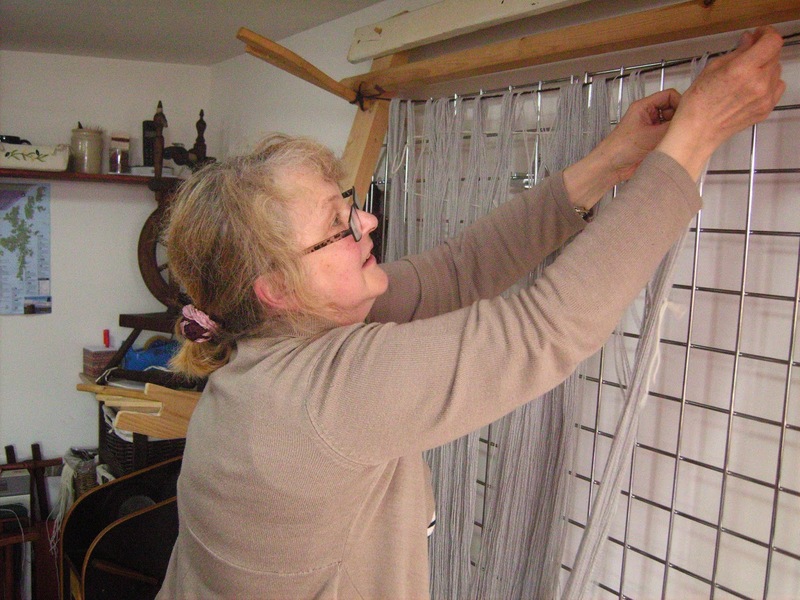 We got carried away with sewing up the warp that we forgot to take a photo. But here it is all sewn up . Here is where we left it - stones ready in pairs to be tied on in the morning. Lovely! Coult you tell us a litle about the yarn you're using for the warp? Is it hand spun? No, Helene, it is not handspun. I would have loved to have spun the yarn for it, but I did not have the time. I am having a week off my spinning to weave the feld, and could not take more time off work to spin for this too. I decided that if I did not get my Feld done now it might never be done. The other thought was that the woven part is covered by the pile so is almost never seen.